Whether you are a lifelong pro-life advocate who needs a wake-up call or someone suffering from post-abortion regrets, Unplanned is a movie with a message that will resonate with you, perhaps for a lifetime. It also provides a shove to those who seem determined to balance on the cultural fence on the issue of abortion—you absolutely cannot be both pro-life and pro-choice after seeing this film. But it’s a tough watch. You’ll see what Abby Johnson saw that compelled her to walk out the door after eight years as a Planned Parenthood award-winning center director. Be advised, the movie has been given an R rating by the MPAA for, of all things, violence. In my opinion, the R rating is earned, so be prepared to be uncomfortable for 106 minutes. However, the payoff is compelling and motivating for those who are engaged in the pro-life battle. And for those confronted with the reality of what they have done, they will find solace in mourning alongside Abby Johnson, and be inspired to make a difference in the lives of others who might be buying into the cultural lies about abortion. 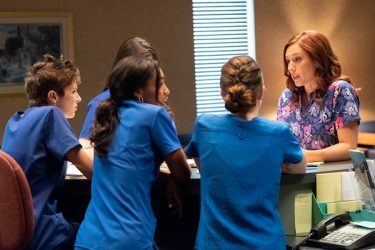 Unplanned is showing in theatres all over North Carolina beginning Thursday, March 29. Grab a few adult friends and watch it together. Then, plan to take some time afterward to talk about what you’ve seen. Go to UnplannedTickets.com for information on where the movie is showing and to buy tickets. If you think your church or organization would like to host a viewing, you can get that information here.